Recent years have seen a surge in the number of cosmetic dentistry procedures carried out. Although they can be worth every penny, they can also prove a disastrous mistake. As specialists whose legal expertise is called upon when dental professionals have been negligent in their care, we see and hear our fair share of neglectful treatments. To keep you informed, we’ve picked out the three most common examples of poor cosmetic dentistry. Tooth whitening, a procedure during which teeth are bleached to make them lighter, has become increasingly popular over the past few years. The legal position on tooth whitening in the UK is that it can only be performed by registered dental care professionals. However, with the rise in the popularity of tooth whitening, there has also been a rise in the number of illegal procedures carried out by unqualified and unregistered individuals. When carried out by a regulated professional using proven methods, tooth whitening is a relatively safe, yet complicated, procedure. However, individuals who carry out tooth whitening illegally are often untrained and the methods are completely unregulated. This means that overly strong (and therefore illegal!) bleach can be applied. Preparing a tooth for a veneer involves filing down the tooth enamel in order to make room for the veneer. Not infrequently teeth can be ‘over prepared’, meaning that too much enamel is removed, creating cracks in the dentine and causing sensitivity. This can then cause nerve damage and lead to ‘pulp death’. When the pulp dies, the tooth requires root canal treatment (which is costly and painful!) to prevent it being lost. Root treated tooth have a limited lifespan and would likely need replacement at some point, either with a denture or an implant. Again, this can be costly and painful. As if that wasn’t enough, problems can also arise if the veneers fitted are too large. If there is overhang from the veneer, bacteria can develop and cause infection. There can also be problems with food trapping which in turn can cause or accelerate decay. Not only are these complications painful, but they can be expensive to rectify. Orthodontic treatment (including ‘Invisalign’ braces) is generally offered privately and can be very expensive, often costing thousands of pounds. However, this carries a lot of risk and can result in unnecessary damage to perfectly healthy teeth. If not carried out correctly, orthodontic treatment can cause significant gum problems. Not only can treatment cause the gums to recede, but there is a proven link to gum disease. Orthodontists must advise patients of this risk and provide information on how to maintain exemplary oral hygiene to minimise the risk. Another common problem is that orthodontic treatment can affect the way teeth bite together. It can cause teeth to bite up into the gum at the roof of the mouth, causing soreness, or alternatively can reduce contact between the teeth and reduce biting efficiency. Unfortunately, orthodontic treatment is not suitable for everyone yet some orthodontists are too quick to promise a ‘Hollywood Smile’ when the desired goals are actually unattainable. If a person has already undergone previous treatment or if the treatment plan is unsuitable, there is a serious risk of root resorption. This is a shortening of the roots which can even cause a tooth to fall out! Furthermore, if treatment is carried out too quickly or the correct aftercare is not provided, the teeth can relapse into the same position they were in, essentially rendering treatment futile. 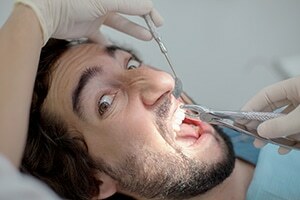 Alongside the rise in cosmetic dentistry, the Dental Negligence Team has noticed a steady increase in the number of claims being brought against dentists. We therefore understand how sub-standard treatment can have huge consequences: physically, emotionally, and financially. We hope that when people receive any type of negligent dental care they understand they have the right to ask why, and if necessary hold those responsible to account. If you believe you or someone you know has received poor care, please get in touch today and discuss your options with us for free.